A quick and cost effective way to update of your web site look is to change your site header design. Whether you want a fresh new look or want graphics for special or holiday occasions, we can build custom graphics for your site to show your customers that you keep your site current. This service includes design of the header with your logo and your business requirements. 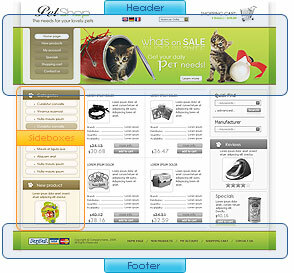 Design is created in Photoshop for your approval and transfered to your site or shopping cart.